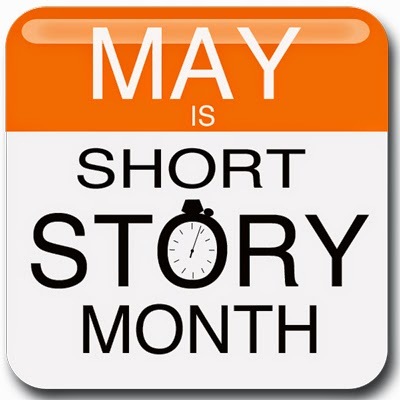 1600 Words A Day: May is Short Story Month & I'm Excited! May is Short Story Month & I'm Excited! I recently finished reading High Fidelity by Nick Hornby, and I am so glad I did. I plan to review it here soon, so stay tuned. Thanks to a recent tweet by Sara Zarr, I realized that this month is my birthday month and short story month. This is so awesome I don't even know where to begin. Personal disclosure: I am working on my first compilation of short stories and I'm about to start shopping one of them around. I got some great feedback at the Pikes Peak Writers Conference, so I am feeling pumped about my own short story prospects. It's a terrific form to read and write, and if you've been feeling turned off to short stories because of bad experiences in high school, give 'em another try. David Sedaris once wrote in his introduction to Children Playing Before a Statue of Hercules (yes, also a short story anthology) that stories can save you. They can. Short fiction can do it even faster than novels. Cool, eh? There's so much that can be said about short fiction. It is a form that once kind of dominated the fiction people read and then became relegated to either artsy magazines, super intellectual glossies, and the occasional erotica in Cosmopolitan. It's tough to sell people on short stories. Why read? We want to be entertained, yes, but we also want to be able to say we read something important, right? What short story is that important? As an avid reader, I'll admit that the pieces that stick with me and haunt me in my quiet moments are short stories. The powerful novels I've read are amazing and nothing can take anything away from them, but short stories can be powerful. They're like dreams that make us question reality for the rest of our lives. Those are the best ones, anyway. I hope to add a list of my own to the official ShortStoryMonth.com site, but until I come up with something formal, please peruse the following gems to start---you won't regret it! These are not literature---they are just AWESOME. These are individual stories. We haven't even gotten into compilations, but if you haven't read these, you need to. They're the missing pieces of my soul I never knew I needed and they are beautiful.